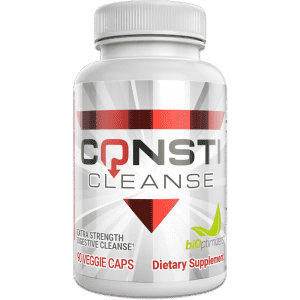 Macros have been the buzzword as of late with everyone talking about what they are and how they can help them realize their weight loss goals. But when it comes to health, there’s another much bigger game player: micronutrients. Many people completely overlook how micronutrients are needed in the body because we are too wrapped up in aesthetic goals. When it comes to losing fat or building muscle, there’s no question, calories and macros take the cake. If you don’t have these elements in line, you aren’t going to see the results you are looking for. But micronutrients can help out too. Don’t neglect the role they can play. These important nutrients can influence things such as your energy levels, your insulin sensitivity, and your resting metabolic rate. So as you can see, they too can impact you and your ability to reach your weight loss goals. And more important than that, they also help protect your health. 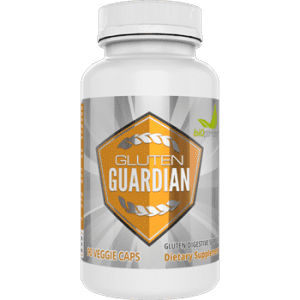 They can help with preventing conditions such as iron-deficiency anemia, osteoporosis, hypothyroidism, cardiovascular disease, and many others. This is where food choices become very important. You can get carbohydrates from a great many food sources but you may not be able to get the micronutrients from all those places. Eat a bowl of candy and you will get little but sugary carbohydrates. Eat a bowl of sweet potatoes however and you have a much different scenario on your hands. So let’s dive in and start talking about some of the key micronutrients you need to know about and where you can get them so you can ensure you aren’t deficient. Before we start talking about some of the more important ones, let’s go over their names first. Micronutrients refer to vitamins and minerals, so that’s the first important thing to keep in mind and remember. 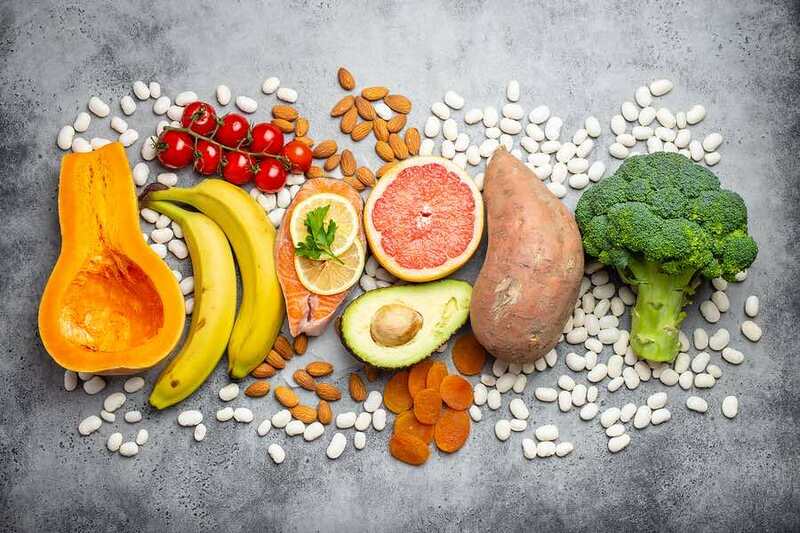 Vitamins can be further broken down into fat-soluble vitamins (vitamins that need fat present to be absorbed properly) and water-soluble vitamins. Another key difference here is that fat-soluble vitamins can be stored for the long term (they’re stored in our body fat cells) whereas water-soluble vitamins washout from the body at the end of the day if not used. 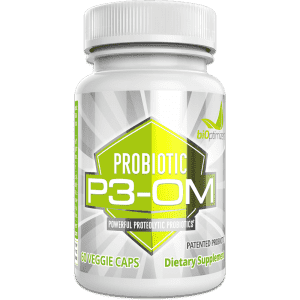 · Produce digestive enzymes (note that if you are really struggling in this area, getting a good digestive enzyme product such as MassZymes on hand is your next best bet). Micronutrients are called as such because we take in smaller amounts of them. While you may take in 130 grams of protein per day, you might only take in 1 gram (or 1000 mg) of calcium per day. Just because you only need a small amount doesn’t mean they aren’t important. Believing that would be a big mistake and have you at a huge disadvantage. So now that you have a primer on macronutrients, let’s look at the top macronutrients you need and where you can find them. If you exercise regularly, you are probably already familiar with potassium. This micronutrient is important to promote regular muscle cramps and keep your heart rhythm’s regular. It also helps you maintain low blood pressure levels1 and counteracts heart disease. The best food sources for potassium include bananas, sweet potatoes, beet greens, spinach, and bok choy. Vitamin A is often regarded as the eye boosting nutrient and that’s because it encompasses both carotenoids and retinoids, both of which are essential for good eye health. Those who are short in vitamin A content may find that they aren’t able to adapt to nighttime light situations as easily (a condition called night blindness). Vitamin A also serves as an antioxidant in the body so it also helps to defend against free radical damage. The best sources of vitamin A include sweet potatoes, carrots, spinach, kale, and mustard greens. It should be noted that this is a fat-soluble vitamin, meaning it will work better if you consume it with some dietary fat. So consider drizzling some olive oil over your kale as you stir fry it or coat your sweet potatoes in that before you bake them. Vitamin B12 is a water-soluble vitamin and is an important energy-boosting vitamin to have in your plan. It helps with the production of red blood cells, which then helps with the transportation of oxygen throughout the body. If you aren’t getting enough vitamin B12 in your diet regularly, low energy levels may be the result. In addition to that, it can also lead to anemia2. Most people only recognize a deficiency of iron leading to this condition (more on that later), but vitamin B12 can also cause problems. Vitamin B12 is also important for keeping your heart health in check and may help to prevent peripheral vascular disease. 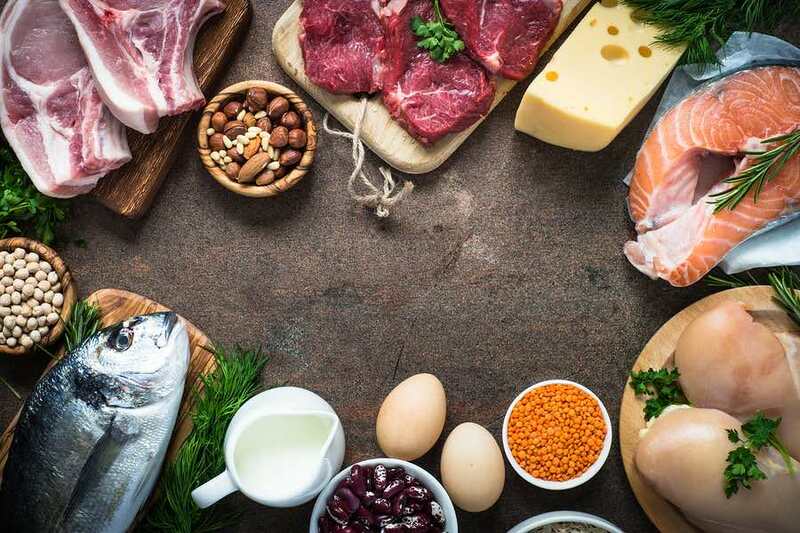 The best sources of vitamin B12 include sardines, salmon, tuna, cod, lamb, scallops, shrimp, beef, yogurt, eggs, turkey and chicken. Because this is a vitamin primarily found in meat, vegetarians should strongly consider supplementation. 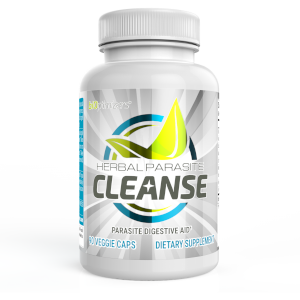 It is water soluble, so it must be consumed daily to maintain optimal intakes. Vitamin C is the ‘cold-fighting vitamin’ and helps to give your immune system a boost3. Getting enough vitamin C in your diet is important for helping you feel energized and healthy as a run-down immune system can lead to burn out very quickly. Vitamin C also provides strong antioxidant support so it can combat free radicals that would otherwise lead to accelerated aging. The best sources of vitamin C include any of the brightly colored fresh fruits and vegetables. This means berries, bell peppers, spinach, broccoli, mangoes, oranges, and so on. 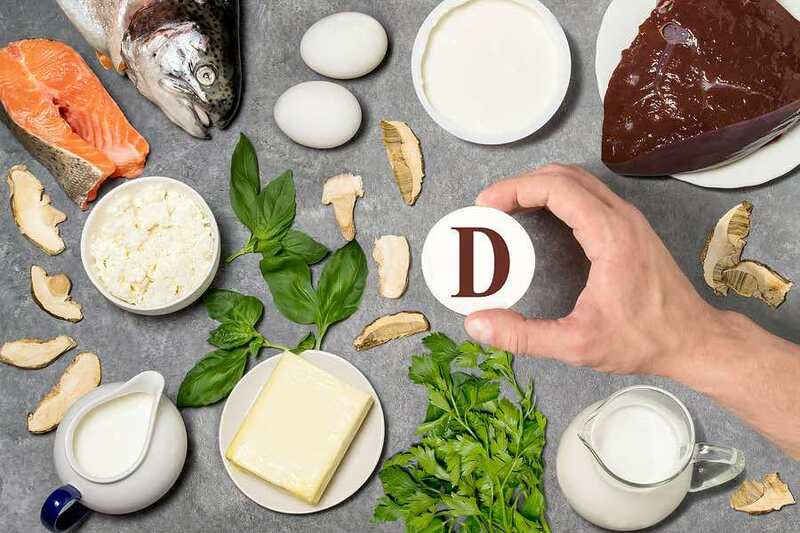 Vitamin D is a very critical vitamin to be taking in as it involves everything from supporting normal hormone levels in the body, especially testosterone in men4, helping to promote better sleep quality, to keeping your bones strong. The main factor to know about vitamin D is that there are very few food sources of vitamin D available. Most people get vitamin D from exposure to natural daylight. However in our times, as most of us spend the vast majority of the day inside at a desk, we miss out on the natural light that provides this nutrient. As such, supplementation is key. The few food sources that do provide it, however, are salmon, sardines, tuna, and eggs. This is another fat-soluble vitamin, so you want to watch that you don’t supplement with too much (or you could be at risk for toxicity), but at the same time, you do need to make sure that you have enough fat in your diet when you are taking it. Vitamin D will also play a role in keeping your immune system strong, improving your exercise performance (boosting strength and endurance) and optimizing your concentration level. Vitamin E is the next fat-soluble vitamin on our list so another that you’ll want to eat with dietary fat. Many of the best sources of vitamin E do contain healthy fats (such as avocados for instance) so that makes things easier. 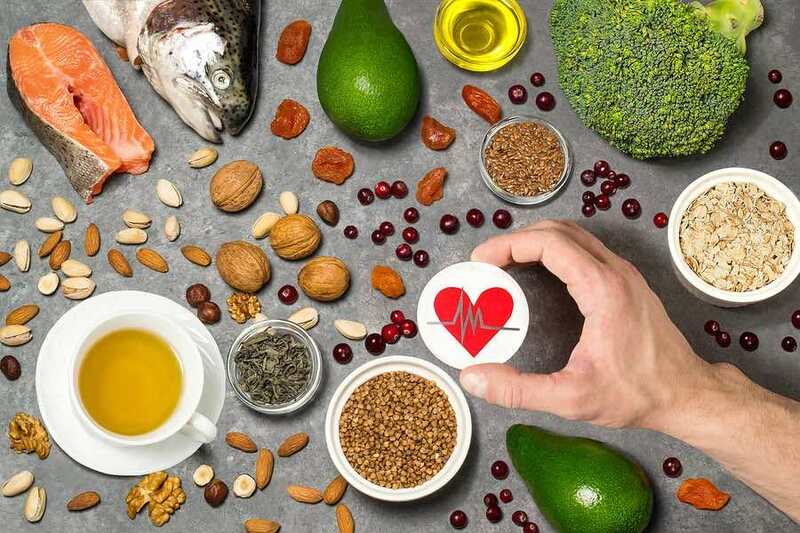 Vitamin E is another antioxidant that reduces oxidation in the body, but in addition to that, it can also help with reducing inflammation present in the cells as well as helping to improve the health of your skin, hair, and nails. Vitamin E is also important for keeping your cardiovascular system healthy and reducing your risk of heart disease. Optimal food sources include sunflower seeds, avocado, olive oil, kale, almonds, and shrimp. Vitamin K is the blot clotting vitamin and is primarily involved in making sure that your blood clots as it should. It also appears that those who have a low intake of vitamin K (vitamin K deficiency) are more prone to experiencing heart disease as well, so there may be some correlation with that. 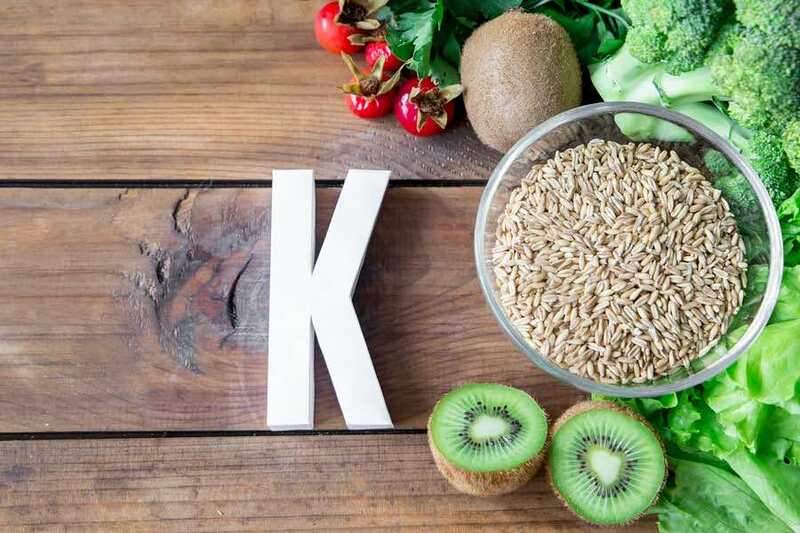 Vitamin K is also going to play a role in keeping your bones healthy as those who are vitamin K deficient have been shown to have greater risks of stress fractures than those who are getting enough of this micronutrient. Finally, vitamin K may also help to improve insulin resistance as well. While research is still in the preliminary stages for this, it does appear to be providing some benefit. 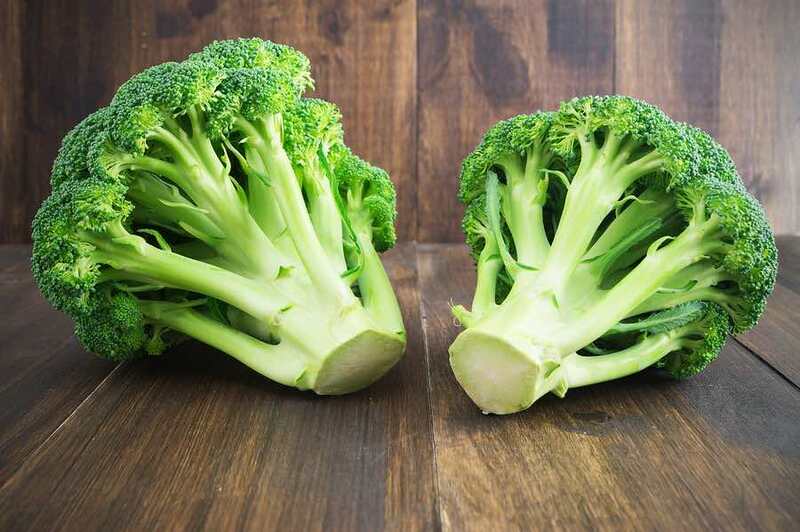 The best sources of vitamin K in the diet include kale, spinach, collard greens, swiss chard, parsley, broccoli, brussels sprouts, romaine lettuce, asparagus, and cauliflower. This is another fat-soluble vitamin, so be sure to drizzle some olive oil on these vegetables, or eat them with another fat source to reap maximum benefits. Zinc is a micronutrient that is especially important for our male readers because it plays a key role in testosterone development. Men who are low in zinc status typically report having lower than average levels of testosterone, which can then lead to a number of different problems including low strength levels, lack of aggression, weight gain, muscle loss, and so on. In addition to that, zinc is also important for both genders as it plays a role in improving immune function and strength and keeping your skin healthy. Zinc has been shown to help reduce the risk of skin related problems including such things as fungus and canker sores5. An interesting thing about zinc is that it plays a role in sensory organs so if you aren’t getting enough, you may find that your taste buds aren’t as sensitive and your appetite decreases. So if foods just aren’t tasting as good anymore, check your zinc status. That could actually be the culprit. The best sources of zinc to include in your diet are beef, spinach, asparagus, sesame seeds, pumpkin seeds, cashews, lentils, and turkey. Iodine is a mineral that most people don’t regard as a mineral as they just think ‘salt’. And while iodine is technically salt, it’s a naturally occurring source of salt (so not table salt) and is found in many freshwater food sources. The top of these sources includes sea vegetables, scallops, cod, shrimp, sardines, and salmon. You can also find it in dairy products as well including yogurt and cow’s milk. What iodine is really important for is proper thyroid production. Those who aren’t getting enough iodine in their diet plan often notice that they just aren’t feeling as energetic as they normally are and this can cause low thyroid output, so mimic the condition of hypothyroidism. 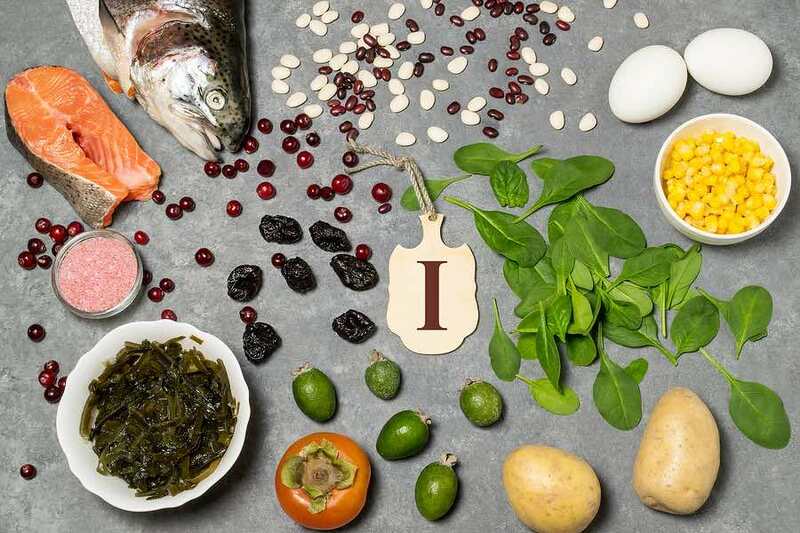 Luckily, once the individual starts eating more iodine in their diet, this typically clears up. Most people know calcium as the bone-building mineral and that it is. If you aren’t getting enough calcium in your diet plan, you will be at risk for more frequent stress fractures and bone related problems. Those who are lacking calcium may find their bones are more brittle and this can also cause them to suffer more joint related pain with exercise as well. In addition to that, calcium is also important for helping maintain optimal muscle contractions and for helping the heart to keep beating strongly. The best sources of calcium in the diet include cow’s milk, yogurt, cheese, tofu, sardines, sesame seeds, and mustard greens. Chromium is a mineral you definitely don’t want to miss out on as it plays an important role in blood glucose stabilization. Those who aren’t getting enough chromium in their diet may not be able to control their blood sugar after eating carbohydrates as well, so this can lead to much greater fluctuations and eventually, increase the risk of weight gain and diabetes6. The best sources of chromium include broccoli, barley, oats, green beans, tomatoes, and romaine lettuce. Folate is one of the most important micronutrients for pregnant women to be taking in because it is involved in the proper formation of the brain and nervous system of the developing baby. In adults, it’s also important for keeping your nervous system transmitting messages as it should as well as for providing solid cardiovascular support. The best sources of folate in the diet include lentils, asparagus, spinach, navy beans, kidney beans, avocados, and lima beans. Earlier we mentioned iron deficiency anemia and now it’s time to address that. 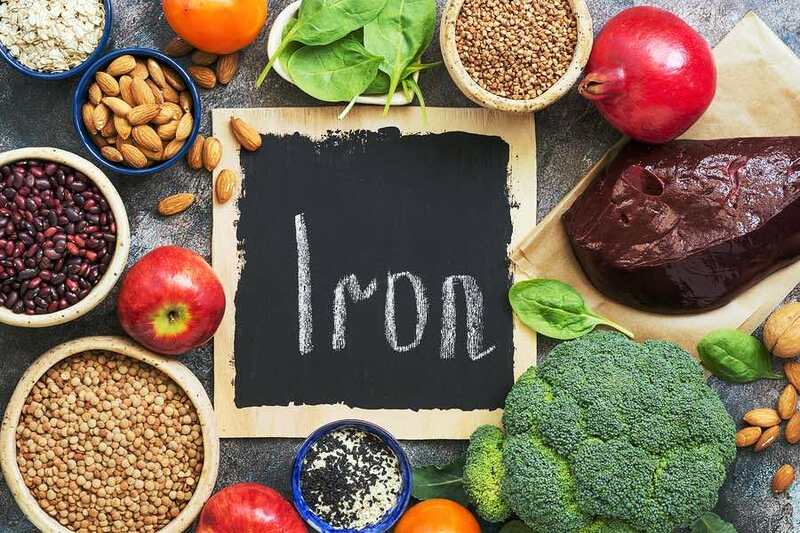 Iron, which is found in two forms, heme iron, and non-heme iron, is important for the formation of red blood cells and the transport of oxygen throughout the body. Heme iron is a much better choice than non-heme iron and is found in animal products. This form of iron is absorbed more readily, therefore, will help you meet your needs faster than non-heme iron. Foods such as beef, chicken, and turkey are all good sources to consume. Non-heme iron is found in vegetarian sources including soybeans, lentils, spinach, sesame seeds, lime beans, and kidney beans. Those who are low in iron may not produce as much nitric oxide, which helps to dilate blood vessels going to and from the heart and help assist with sufficient oxygen transport. Please keep in mind as well that taking vitamin C with your iron-rich foods will help increase absorption even further, so that may be something to consider. So there you have a great list of all the different micronutrients you need to be taking in. While this list is not completely inclusive (there are still others that are important), it does give you a great start to understand where you should place your focus and attention. By eating a varied diet full of lots of different foods, you should be able to get most of your needs met. Beyond that, consider supplementing with a high-quality multivitamin and mineral formula to ensure no deficiencies persist. 1. Whelton, Paul K., et al. “Effects of oral potassium on blood pressure: meta-analysis of randomized controlled clinical trials.” Jama 277.20 (1997): 1624-1632. 5. Schwartz, James R., Randall G. Marsh, and Zoe Diana Draelos. “Zinc and skin health: overview of physiology and pharmacology.” Dermatologic surgery 31 (2005): 837-847.